Gender inequality: What are WEEE doing about it? Joice, a 43-year-old widow with five children is a shopkeeper and the breadwinner for her family. “After losing a hardworking husband, life was unbearable for me,” she says. “It meant working extra hard to sustain the only shop and children left under my care.” It was difficult for her to raise school fees for her children and to sustain supplies in the shop. But as part of World Vision’s ENSURE project, Joice attended an agro-dealer training and things began to look up. Joice was connected with input and output suppliers and her business improved immensely. “My life will never be the same,” she says, laughing. 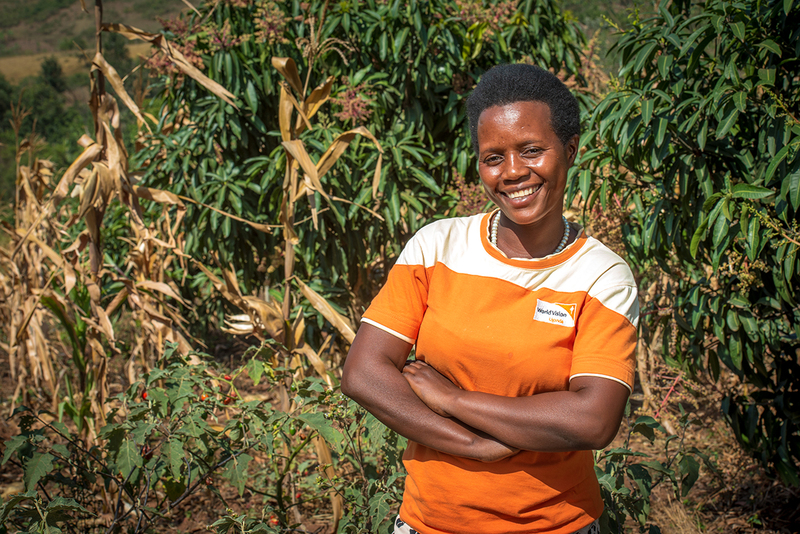 Enjoying a profit margin of an average of $400 per month, Joice not only has a thriving business but hopes to play a pivotal role in assisting farmers to market their produce and enhancing her business by bringing in more inputs and machinery to meet farmer requirements. The Women’s Entrepreneurship and Economic Empowerment (WEEE) Act is designed to help women like Joice improve their lives, care for their families, and contribute to global economic growth. It does so by eliminating harmful social and culture norms so women can improve their access to resources, including financial services and increase their decision-making power. Currently, more than one billion women are excluded from formal financial services. Many cannot open bank accounts, seek loans or credit, or manage their funds because of antiquated legal and or social beliefs about gender roles. The WEEE Act makes it the policy of the United States to reduce gender disparities in access to resources so that women like Joice are able to provide for their families no matter the social and cultural norms or circumstances. Additionally, one in three women globally experiences sexual, emotional, and or physical violence during her lifetime. Gender-based violence can also prevent women from engaging successfully in economic activities. When women face harassment or violence in the workplace, or when they suffer from injuries or trauma as a result of domestic violence, their economic livelihoods are affected. The WEEE Act makes it U.S. policy to strive to eliminate gender-based violence and mitigate its effects so that women and their children can live free from fear and enjoy equal access to opportunities. This legislation also ensures that women can access land and own property. Sadly, women own less than 20 percent of the world’s land. This is staggering if you consider that half of the world’s population is women. More than 400 million of them farm and produce the majority of the world’s food supply, yet female farmers lack equal rights to own land in more than 90 countries. Most of the world’s 1.2 billion people who live in absolute poverty are women and girls. Women lack opportunities for developing confidence and decision-making power – and they are under-represented in senior roles and economic leadership positions in developing and developed countries. The WEEE Act requires the U.S. Government to maintain a rigorous gender analysis in foreign assistance programs so that we have the necessary data to address critical barriers and leave no woman behind. When women lift themselves out of poverty, they pull their families and communities up with them. We encourage the U.S. Government to strengthen its commitment to women and girls, and to empower them to realize their God-given potential and access greater opportunities by passing the Women’s Entrepreneurship and Economic Empowerment Act of 2018. We urge the Senate to prioritize the passage of this bill before the end of this calendar year. The House bill was passed in early July and the Senate bill was introduced on July 19th by Senators John Boozman (R-AR), Ben Cardin (D-MD), Marco Rubio (R-FL), and Jeanne Shaheen (D-NH).